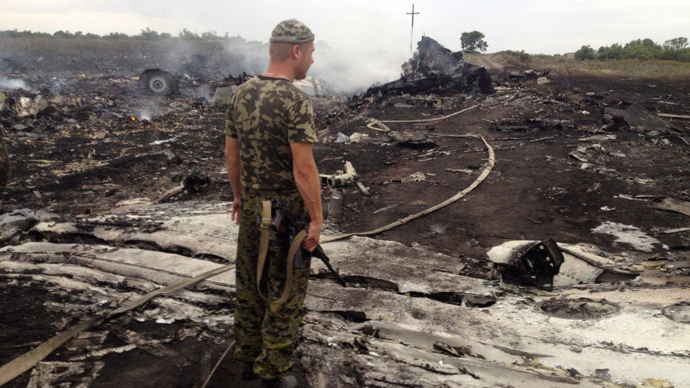 The Ukrainian Security Service has released what it calls “intercepted phone conversations,” which are supposed to prove that Donetsk self-defense forces shot down Malaysia Airlines MH17 flight on Thursday – presumably, by mistake. “Bes” and “Geranin” are speaking about a downing of a jet, without clarifying if it’s a military or a civilian aircraft. The third and final segment sets things straight as an unnamed “militia member” tells an alleged “Cossack commander” titled as “Nikolay Kozitsin,” that there’s ‘Malaysia Airlines’ marking on the downed plane. The Western media has picked up the news, despite it being impossible to verify the authenticity of the leaked conversations. Meanwhile, some alternative media outlets are already accusing Kiev authorities of cooking up a fake. The commentators point out that the discussion between “Bes” and “Geranin” may well refer to the Ukrainian Su-25 jet, which militia members downed on June 16. 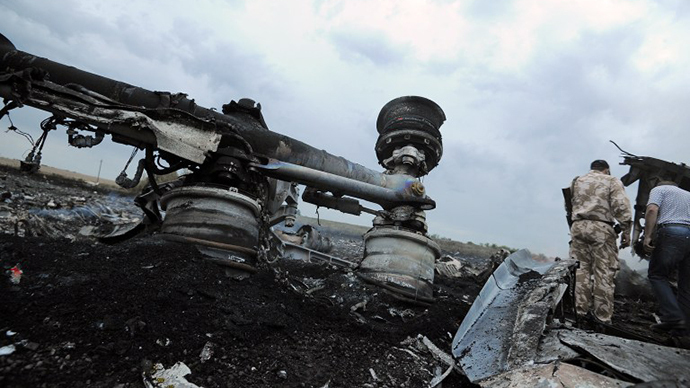 There are also doubts spoken out, that that the unnamed “militia member” from the third tape segment could distinguish “Malaysia Airlines” marking on the aircraft as it was turned into rubble by the crash and fell down in small pieces scattered around a large territory. RT has managed to contact Evgeny Kruzhin, who is a medic in the militia group accused of bringing the plane down, through his LIveJournal page. 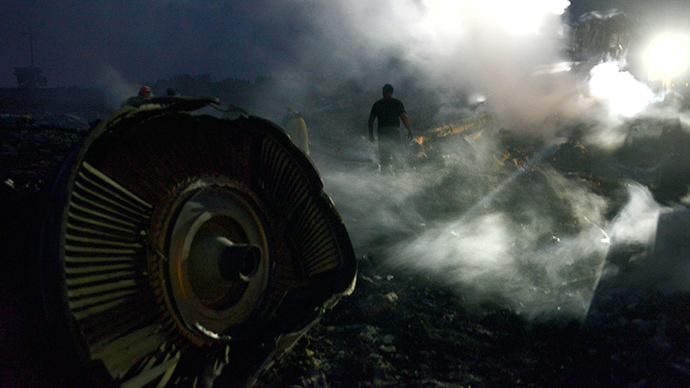 He told RT that the fighters nicknamed Major and Grek really do exist, but claimed that they remained in the town of Enakievo when the jet crashed – while the second “conversation” on the tape says that the plane was “shot down from the Chernukhino checkpoint.” Chernukhino is a settlement located some 25 kilometers from Enakievo. 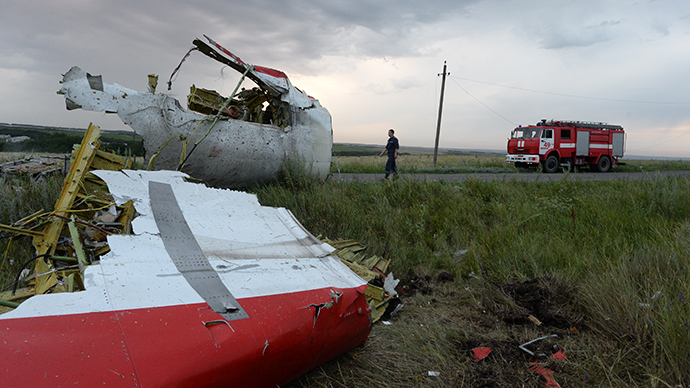 “Therefore, they have no connection to either the plane’s downing, or the examination of the crash site,” Kruzhin stressed. Malaysian Airlines flight MH17 carrying almost 300 people on board crashed on Thursday as it was flying over Ukraine’s Donetsk Region. The cause of the crash is yet to be established by investigators, although both Kiev and the E.Ukrainian militias deny responsibility and blame the other. Donetsk militia declared that they simply don’t have the military equipment to shoot down a plane from 10,000-meter altitude, while Kiev said it could not have fired a missile at the passing civilian plane because it had no Buk missile launchers deployed in the region. 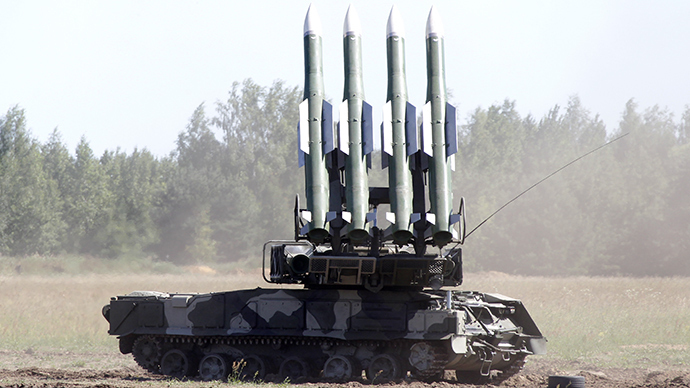 Meanwhile the Russian Defense Ministry said that the Ukrainian military has several batteries of Buk surface-to-air missile systems with at least 27 launchers, capable of bringing down high-flying jets, in the Donetsk region where the Malaysian passenger plane crashed. Later it added that a Ukrainian Buk anti-aircraft missile battery was operationalin the region and deployed at a site from which it could have fired a missile at the airliner. The south-east of Ukraine remains the scene of heavy fighting between Kiev troops and the militia, who refuse to recognize the regime change in Kiev and demand federalization.